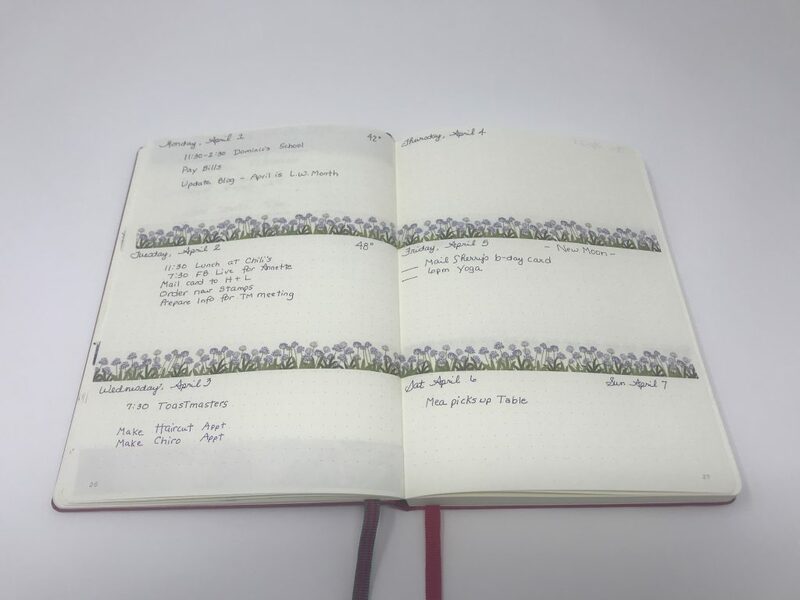 A few years ago I tried bullet journaling. It didn’t last long. I liked it but hadn’t invested the time and effort fully engage with the process. Part of the problem may have been the spiral-bound, hardcover notebook I was using. It was plain, uninspiring and had a hodgepodge of lists and other remnants of daily living filling up the pages in no order and with no system. This time I did two things that prepared me. 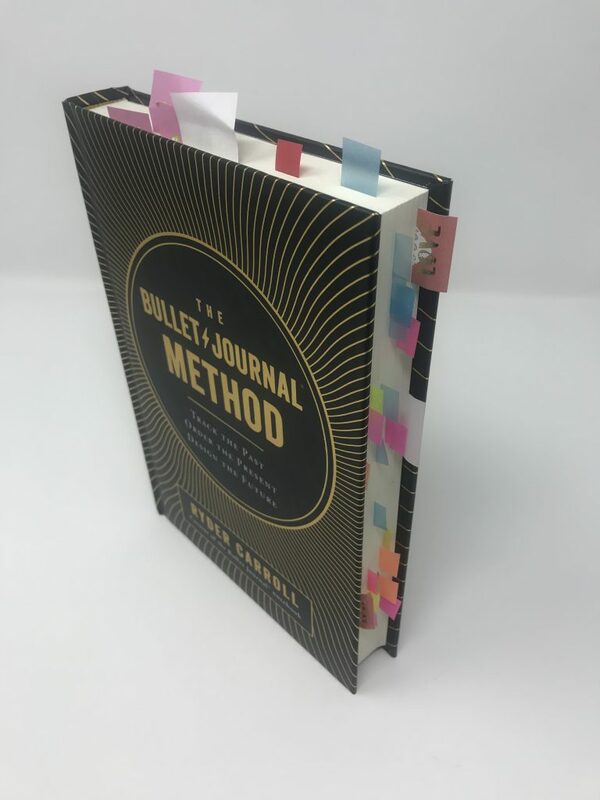 First, I read Ryder Carroll’s book, The Bullet Journal Method: Track the Past, Order the Present, Design the Future. 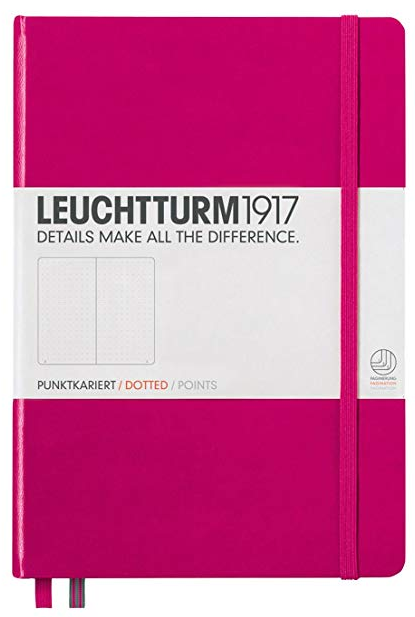 Second, I purchased a proper and inspiring (for me) Leuchtturm blank journal with its inviting cover, smooth pages, and dual book marks. Here is my index. As you can see, I started the bullet journal in March which was shortly after finishing Ryder Carroll’s book. I’m experimenting with different page layouts. I mostly like the weekly design and don’t have the desire to grid out a 30/31 day monthly design. Rather, I will list the days 1-31 and include future plans, deadlines, important dates, etc., next to each number/date. 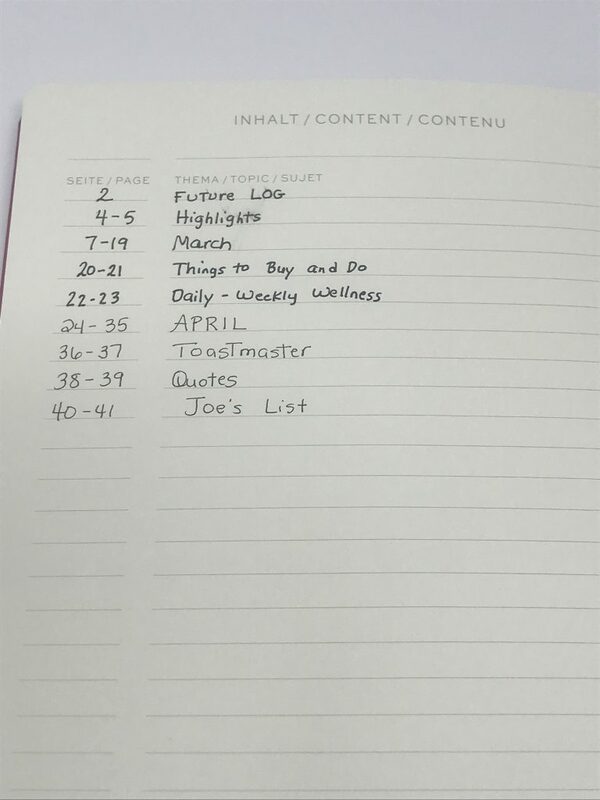 I still use my regular day planner for appointments (the Saint Belford Planner), but in 2020 I plan to combine everything into the Bullet Journal. I love that it is a repository for the past and a planning tool for the future. Also, that it’s streamlined and efficient with an easy way to find things (if everything is done properly). In April I began adding some Washi tape as dividers instead of plain lines. Occasionally I will add stickers or stamped images. 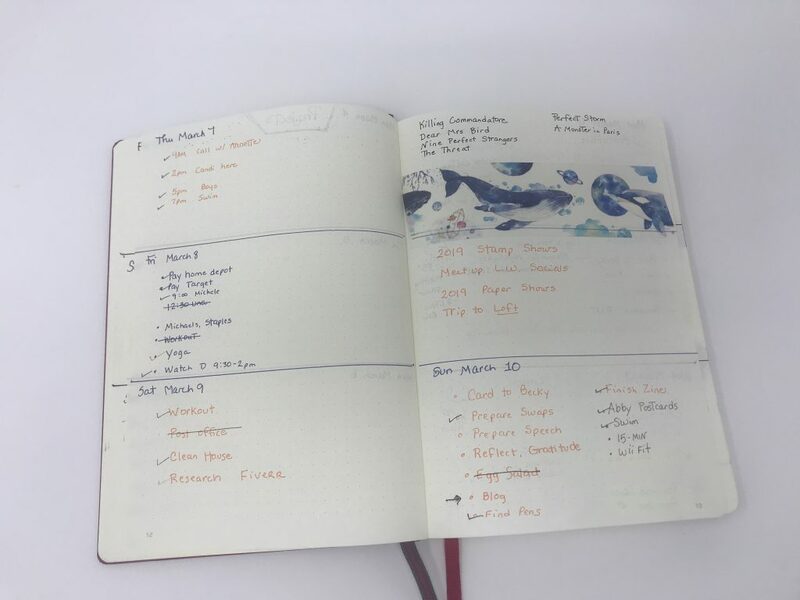 One of the major features of bullet journaling is how you make it your own. You can create and follow your own system. Part of what kept me away from implementing this sooner was following others, such as Boho Berry, aka, Kara Benz, and seeing their delightful, creative, perfectly laid out pages. I knew that I didn’t have the talent or desire to expend such energy only to be frustrated. But after reading Carroll’s book, I felt much more comfortable in making my bullet journal mine. In the meantime, I continue to be inspired by Kara and others like her. It’s still new to me and I’m continuing to learn and improve as I go along. But I like it and think this is a great start to implementing this journal keeping and planning habit.